“You must act. Be bold. Be courageous.” – Gabby Giffords on gun violence. Update: Chicago high school student Hadiya Pendleton, a 15 year old who performed at last week’s inauguration events and was planning to go to Paris, was fatally shot in the back on Tuesday, Jan 29 , while hanging out with friends in a park. Please call Congress. Thank you for inviting me here today. This is an important conversation for our children, for our communities, for Democrats and Republicans. Speaking is difficult, but I need to say something important. Violence is a big problem. Too many children are dying. Too many children. We must do something. It will be hard but the time is now. You must act. Be bold. Be courageous. Americans are counting on you. Thank you. The video is below, and it’s incredibly moving – when Gabby Giffords tells you that you have to be courageous, it carries quite a punch. Here’s what we can do, now, today, to help protect boys and girls, men and women in all of our communities: We can call our elected representatives and tell them that we support the President and Vice President in their efforts. In a democracy, that’s our job, our sacred duty. And if Gabby Giffords can go to the Senate, we can damn sure call Congress. Hi, I’m calling from [location], and I just wanted to make sure that President Obama/Senator XXXXX/Representative XXXXX knows that I support the White House gun control initiative.I think that things like background checks, limits on magazine capacity, and a ban on assault weapons are common sense tools to help us protect each other, and I hope that efforts will also be made to work with inner city communities to address their particular needs — I know that less than 1% of urban populations are responsible for about 70% of all shootings in cities, and it’s tragic that so many people are held hostage to that violence. And if you’ve called them all already – call them again, or send an email. Ask your friends and family to do the same. If you have some money to spare, you can give some to The Brady Campaign — there are floods of money behind the gun lobby, and that’s why it’s so powerful. We have to counter with everything we have. And the first thing we have is our voice. I really love this new version of MMMBop. …and you can’t make me not. 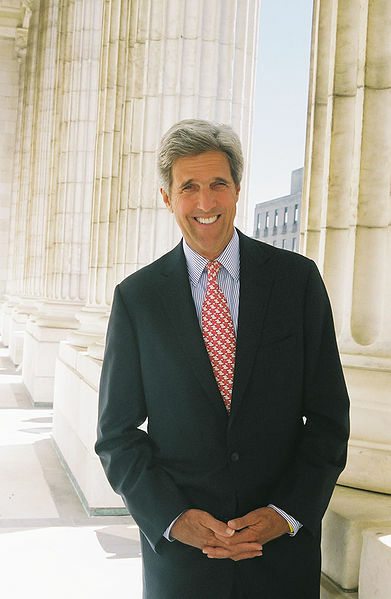 An open letter to John Kerry. I pray that maybe this will be a moment that will allow us to renew the effort to bring [Israelis and Palestinians] to the negotiating table and go down a different path than the one they were on in the last few years. I would like to try and do that. Prayers are a good thing. I have nothing against prayers. But—and I say this with deep respect for and real gratitude to you for your service to this country—praying is my job. I’m already on record as believing that, under the current circumstances, the next Israeli government will be no more inclined toward peace than the current one—but that doesn’t mean that you and the White House can’t change the circumstances. You’re hearing that Yesh Atid party chairman Yair Lapid is a centrist, and J.J. Goldberg has made an excellent case against pessimism like mine regarding Yesh Atid’s potential—but whatever Lapid may say about insisting on a return to the negotiating table, he’s made very clear that he doesn’t personally understand what he’s up against. His approach to the settlements is of at least equal concern: While it’s clear that there would be land-swaps in any two-state agreement, most settlers would have to leave the West Bank—but Lapid insists that building won’t stop in major settlement blocs. Yet again, as both you and President Obama know, any construction serves to humiliate and tie the hands of Palestinian negotiators (in addition to being in direct contradiction to the Road Map for Peace that Israel signed with the U.S. in 2003). Moreover, the limitation of “major settlement blocs” is squishy at best. Even Netanyahu’s 10-month settlement “freeze” was more chimera than concession, in that construction never actually stopped, and was redoubled the instant the putative freeze ended. Simply put: Every single home and road added to Israel’s occupation of Palestinian land is another nail in the coffin of a two-state peace. 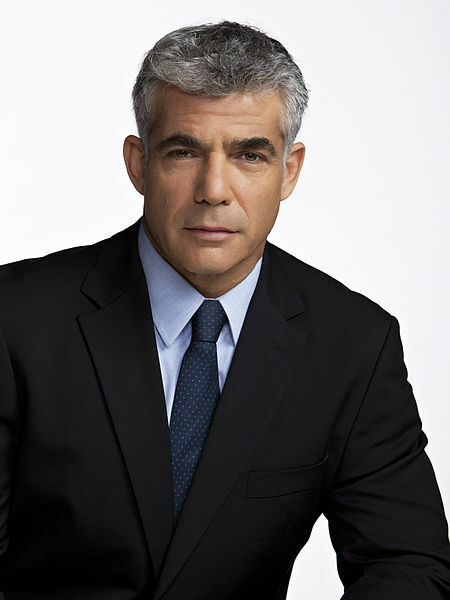 Whatever and whoever Yair Lapid might be, Benjamin Netanyahu is almost certainly going to be the next Prime Minister, and moreover, Yesh Atid is not the only party with which he’s discussing a coalition. Netanyahu has made it very clear that he wants to transform the so-called E-1 section of the West Bank into a major settlement bloc (again: in direct contradiction to promises made to successive American governments), and if the E-1 plan moves forward, it will in fact cut the West Bank in two. There’s no way to both establish a Palestinian state, and continue to coddle Israel’s settlers and their government backers. I don’t think I’m telling you anything new. Not only do you know what a two-state peace requires, unlike most of Congress, you’ve actually been to Gaza. You’ve seen what the lives of Palestinians look like up close. And I suspect that you also know that if you and President Obama can’t facilitate some kind of serious return to the negotiating table, the dream of a two-state peace will die on your watch. I may have little faith in Yair Lapid and none in Benjamin Netanyahu as peacemakers—but I have enormous faith in the ability of the United States to lead, to change the international atmosphere in which Israel’s politicians function, and to encourage boldness. Once in your new office, you can clarify to the next Israeli government that the U.S. will be standing by its own policies more firmly in the future. American vetoes at the U.N. need not be a foregone conclusion, the tax-exempt status of settlement-supportive American charities might be examined, and as Lara Friedman wrote in these pages, a simple change in official tone would go a long way. On the other hand, in exchange for concrete Israeli steps (rather than the winks and nudges of the past), the U.S. might offer the kind of financial support that would help relieve many of the social worries facing the vast majority of Israelis who live legally within Israel’s internationally recognized borders. It might not work, and not least because you’ll still have Hamas to deal with. No risky undertaking is ever guaranteed. But as an Israeli, as an American, and as a pro-Palestinian activist, I think it’s immeasurably important that the United States make the effort. The continuing failure to achieve a durable peace not only provides extremists with anti-American recruiting tools, it serves to grind down the courage of Israelis and Palestinians—and they will need courage to leave the conflict behind. So please, Senator. I’m grateful for your prayers, but I would be much more grateful for action. As Rabbi Abraham Joshua Heschel reminded us in Selma: Sometimes we have to pray with our feet. Kessim (Ethiopian Jewish clergy) saying a prayer for Jews from Ethiopia who perished in Sudan on their way to Israel. There’s a lot of ugly and unfortunate news coming out of Israel regarding the country’s treatment of the Ethiopian immigrant community, and on Twitter just now, I provided some context. I’ve decided to sum that up here as well, for those who might not want to read backward, in 140-character chunks. related: Many Ethiopian Jews were forced to undergo “conversion” after their arrival in Israel. related: Many Ethiopians were tested for HIV as they immigrated to Israel; roughly 2-3% were found to carry the virus, but this information tells us nothing about relative infection rates, as no similar program was carried out among any other Israeli community at the time. related: Because of the HIV test findings, blood donations made by Ethiopian-Israelis were routinely discarded from 1984 to 1996. There are a variety of things going on here, one of which is most certainly racism, but of a kind similar to that experienced by Israel’s Sephardi (Middle Eastern Jewish) community when they arrived, as well. Jewish communities that do not reflect the traditions and history of the dominant Ashkenazi (European, and more broadly, Western) culture have long been treated as (and often literally called) primitive, insufficiently Jewish and/or educated, and in need of sweeping correction. This played a big role in both the HIV testing and discarding of Ethiopian blood, as well as in the placement in religious boarding schools of many young Ethiopians upon their arrival, and I suspect it played a big role in the decision to control women’s fertility without their informed consent. 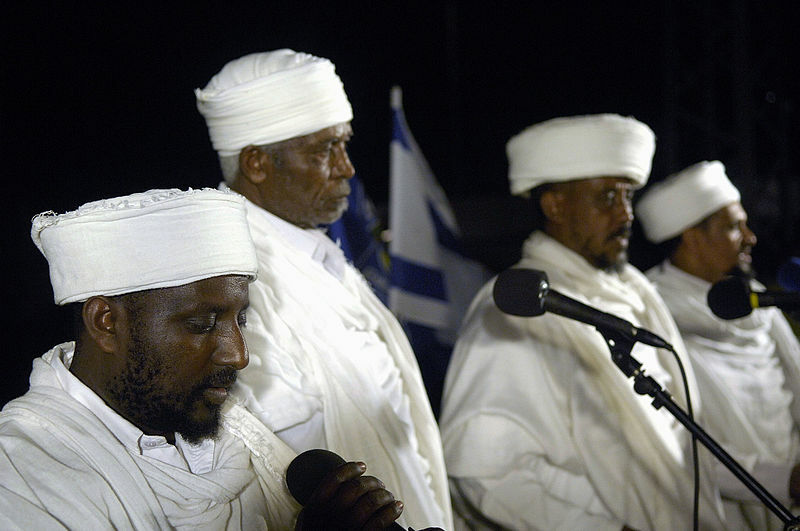 As regards the conversions and the phasing out of the Ethiopian priesthood, there’s an additional factor at play: Judaism as a religion is much more defined by community than some other faith systems — there are many prayers and rituals that we simply may not perform, for instance, unless we have a group of at least 10 to perform them. Thus, rules that determine who’s in and who’s out have been important. This is in particular the mark of a minority faith, where maintaining the integrity of the community as against the huge and powerful outside world — much of which has been violently hostile toward the community throughout its history, slaughtering our members in the scores and millions — is a very important safeguard. The flip side is that we then start turning against each other for not being “enough” of one thing or another. 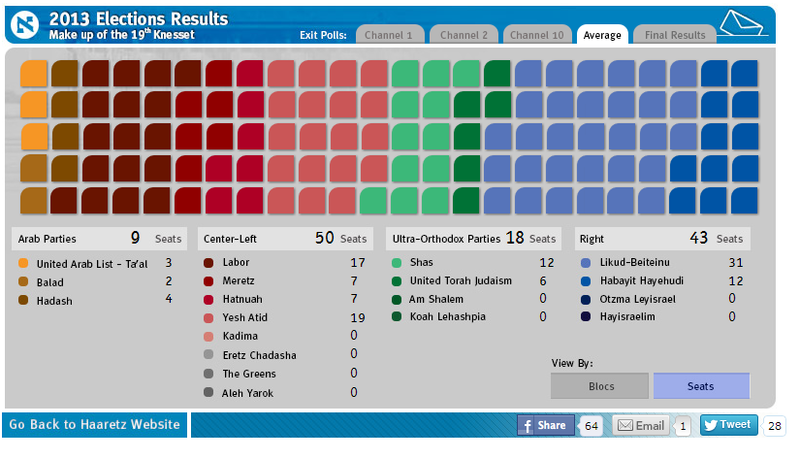 The question of “who gets to decide?” is a very big one, but when it’s raised within discrete communities within Judaism, “who gets to decide” is one thing; when it’s a question of national policy in a modern nation state, it’s another thing entirely. For reasons that can largely be chalked up to hubris (the country’s secular founders thought religion was going to die out), Israel has allowed Ashkenazi ultra-Orthodoxy to become the default “Judaism” of the state, and anything that doesn’t align with that standard is deemed insufficient. This is why so many Russian Jews, who couldn’t prove their Judaism because Soviet authorities had worked very, very hard to destroy it, had to “convert” when they came to Israel; this is why Americans who grow up anything other than Orthodox must prove their Judaism over and over if they want to marry in Israel; this is why there was and remains so much anti-Sephardic discrimination in Israel’s religious hierarchy (and is a large part of why the ultra-Orthodox Sephardic Shas party was formed); and this is why the Ethiopian community has so often been greeted with such misunderstanding and disrespect. The early Jewish nationalists wanted the Jewish people to be as normal as any other; Ben Gurion talked about Israel needing prostitutes and thieves for that great day to arrive — and lo: Jews, in and out of Israel, are as normal and as human and as potentially terrible as any other group on earth. Where President Obama meets Justin Timberlake. I’m spending my morning getting increasingly enraged by the various and sundry (and stupid and moronic) dehumanizations of women that are all around me, everywhere, every day, and preparing a spreadsheet for my 2012 tax returns. Silence breaking: Please tell a story about your experience with abortion. I’ve occasionally posted an op/ed that once ran in several newspapers around the country about my own abortion. I believe, very strongly, that our stories are collectively the single most powerful tool we have in the battle for women’s reproductive rights, and that if we are to push back on the dehumanization inherent to so much of the anti-choice rhetoric, we have to claim those stories. We are continuously shamed and cowed, frightened and belittled into silencing ourselves and denying our reality. If you have terminated a pregnancy or struggled with the idea of doing so, for any reason, and would like to tell your story, please do so here, at whatever level of anonymity that you would like to maintain. We did this once before, on the issues of sexual harassment and assault, and I think many people found it a useful, helpful thing. One note: If you’ve never commented here before, or will be choosing to comment under a different name in order to preserve your anonymity, your comment will immediately go into moderation — I promise to fish out all moderated comments as soon as I can. And finally, let me stress: There will be no shaming here. There will be no shaming, no doubt, no name-calling, no trolling. This is a space in which you can tell your story safely. I promise. Catching up on all the coverage of the 40th anniversary of Roe v. Wade, and my good lord, if it isn’t depressing. And here I thought this body belonged to me. Just like a real human. I am, as always, struck by a powerful sense that those of us who have had abortions must not give in to the shaming that we face every day, and on the contrary — we have got to stand up and be heard. So once again, here’s a piece I wrote sometime ago, versions of which appeared in several newspapers around the country. Note: Not my actual house. Though I wish it were. Is it still January? Can somebody check? /waits while somebody checks/ It is? Cool. As it is Still January and all, I believe this still counts: I have a New Year’s resolution! Typically, I don’t do the resolution thing. I’m more of the “if you want to change something, March 27th is just as good a day” school of thought, though I don’t judge people for whom making resolutions is meaningful. We all have to find our own ways to achieve the Me that we want to be, and if New Year’s resolutions work for you? You go on with your resolving self. For a few years, I did resolve to floss “more often,” but now I floss nearly every day, and there’s no point in resolving to do a thing that you know you won’t do. “Every day” just ain’t happenin’. But lo! On Saturday I stumbled into straightening up all of my many and various and wildly over-loaded book shelves (I took two books off my daughter’s shelves, bought them to my office where they belonged, and two and a half hours later, emerged from the clouds of dust), and I was very, very forcibly reminded of all the many and various books that I own that I have never read. Ever. Evereverever. Ever. I DO HEREBY SOLEMNLY RESOLVE TO READ ALL OF THE BOOKS I OWN BY THE END OF 2013. 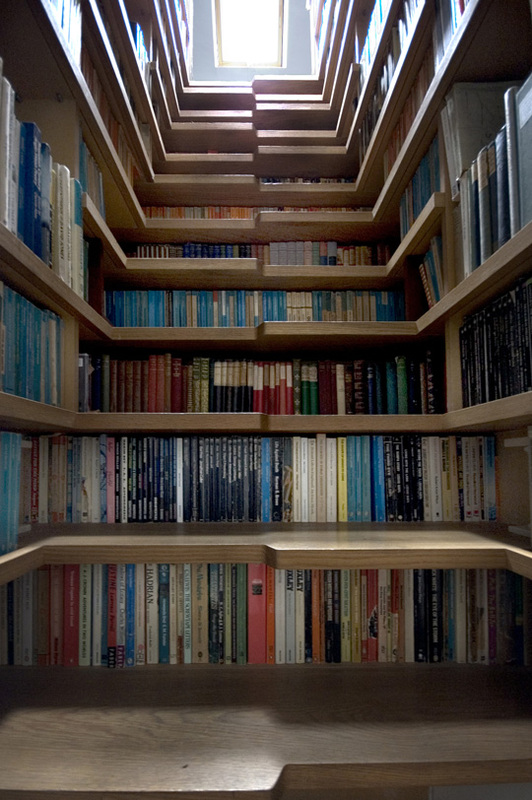 And that’s really just the tip of the literary iceberg. The steeper challenge will be to see if I can keep the unspoken other part of the resolution, the and I won’t buy any more books until I do part. Indeed, I ordered another book from my local indie bookstore that very same day…but I ordered it about an hour before the Great Straightening Up began so I think it, too, fits under the wire. Wish me luck! I’m goin’ in.